Recording Music on Location provides an exceptional collection of information regarding all aspects of recording outside of the studio. Featuring clear explanations on how to achieve professional results, this book is divided into two distinct sections: popular music and classical music. Whether you record in the local rock club, jazz café, or in an orchestra hall, Bartlett offers sage advice on each stage of the process of location recording. Packed with hints and tips, this book is a great reference for anyone planning to venture outside of the studio. Audio examples, tracking sheets, weblinks, and downloadable checklists are available on the companion website at www.focalpress.com/cw/bartlett. This edition has been thoroughly updated and includes new sections on iOS devices, USB thumb-drive recorders, and digital consoles with built-in recorders, along with updated specs on recording equipment, software, and hardware. 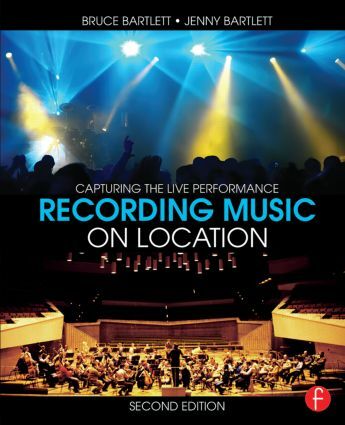 This edition will also show you how to prepare recordings for the web and live audio streaming, and covers spectral analysis, noise reduction, and parallel compression. A new case study will go in depth on classical-music recording.